MOSCOW, October 20. /TASS/. Mikhail Bochkaryov, a member of staff of the Russian Federation Council (upper house of parliament) has told journalists upon returning to Moscow from Oslo that he did not have any doubts about the favorable resolution of the situation. The press service of the Russian Federation Council said earlier that Borchkaryov returned to Moscow from Oslo on Saturday after the Norwegian court had ordered to release him from custody. He was welcomed at Moscow’s Sheremetyevo Airport by his son and colleagues. «I knew that everything will be fine because I am absolutely innocent. Those absurd accusations were groundless,» Bochkaryov told reporters after landing in Moscow. He said he was shocked when he was first detained because «nobody explained anything» but only said that he is accused of espionage. «They took away all my stuff and brought me to the detention facility. There was no questioning, they did not allow me to make a phone call. That’s why I had to spend my first night in a cell, and my relatives knew nothing about what was going on. It was rather hard, to put it mildly,» he added. Bochkaryov said he did not expect to be released on Friday. «I was ready to sit and wait for the appeals court hearings on Monday. Suddenly the police decided to backtrack on this and release me,» he said. He thanked all those who supported him while he remained in detention in Norway. «From the very first day I felt that everybody supports me, that everybody is on my side. 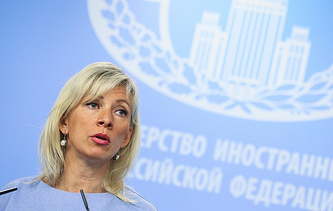 The Russian Embassy got involved right away, as well as the Federation Council, and [Federation Council Speaker] Valentina Matviyenko has repeatedly spoken about me. That is why I am very grateful,» Bochkaryov said. 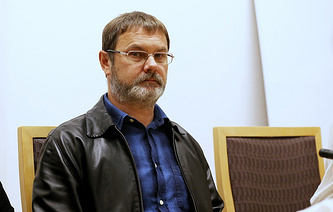 Mikhail Bochkaryov was detained at Oslo airport on September 21 and then arrested. According to Norway, the Russian man was allegedly spying with the help of wireless networks during a seminar on digitalization of the European Center for Parliamentary Research and Documentation in the building of the Norwegian parlaiment. The Russian Embassy in Oslo said the case was based on trumped-up charges. On October 18, the Norwegian news agency said that the Oslo District Court ordered Bochkaryov’s release. The country’s Policy Security Service (PST) lodged an appeal against the court ruling, but then withdrew it.